This was a very enjoyable experience. A bit more restaurant-like, classy and expensive than your average Vietnamese suburban restaurant joint, but Bay Tinh does have some great food. 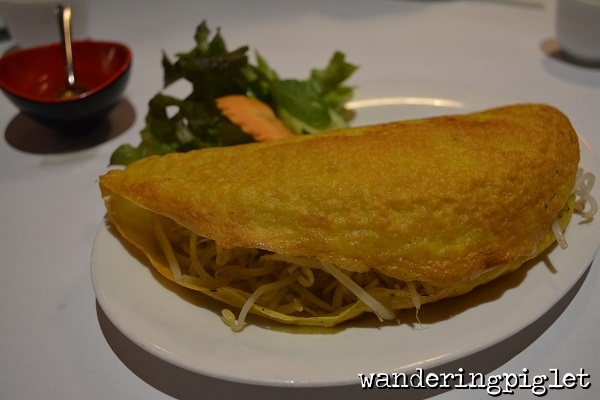 The crispy pancake was pretty impressive, the pancake is indeed thin and crispy. It comes in a meat (pork and prawn) (which is in the entree section) and vegetarian option. Both are $14.5. The meat was succulent and well cooked, beansprouts added texture and bursts of freshness, and the sweet/sour sauce goes beautifully. The ingredient which wasn’t listed on the menu which I think tied the whole dish together was the mung beans layer on the bottom half of the pancake. 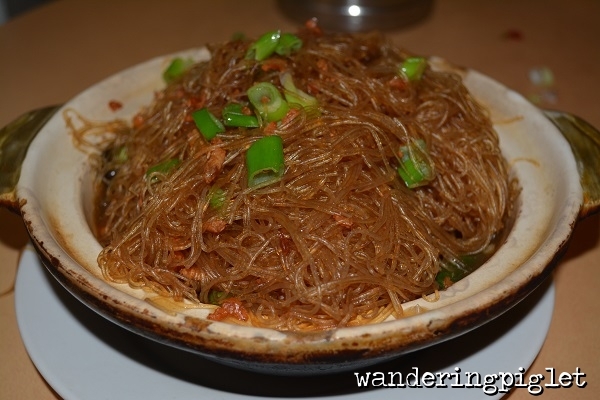 It gives the dish some depth, soaks up the sweet/sour sauce and binds the ingredients together. I would definitely order this again and again. Next the stuff tofu. Again enjoyable. Could be a bit sweet for some, but I really liked it, particularly the black fungus which gave added texture. 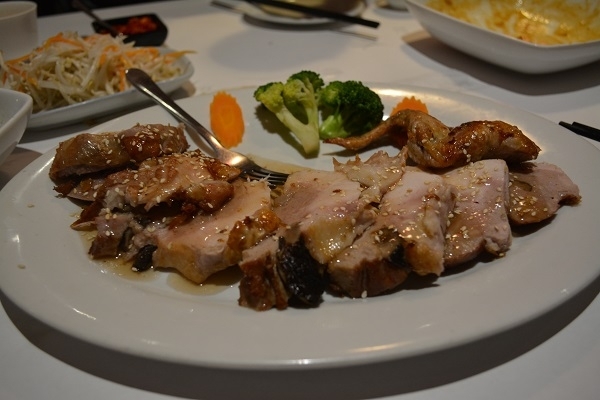 On to the pork in carmalised sauce – YUM. This dish looks very simple as it comes to the table. 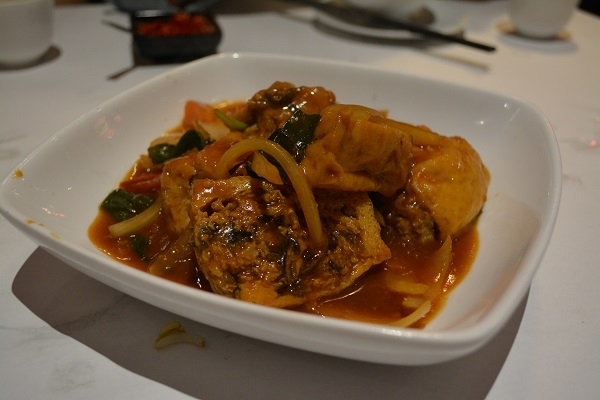 But the sauce although it is a fairly watery consistency, has a lot of flavour packed in it. 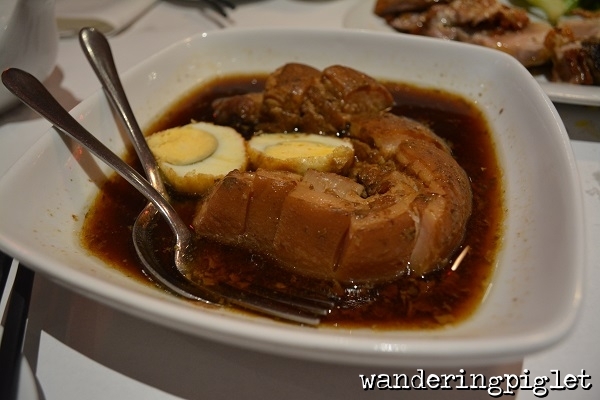 The pork was succulent, juicy and melt in your mouth. Great dish. Last but definitely not least was the boneless stuffed chicken. Now when it arrived a the table, it looked nice, but the stuffing looks quite a similar colour to the chicken… so I was wondering if this ‘stuffed’ part was going to live up to it’s hyped description on the menu… but it does. wow, really unexpectedly I think Bay Tinh packs so much flavour into the stuffed section of this boneless chicken dish. In the ‘fragrant spices’ it is definitely fragrant, and there is one spice in particularly that I can’t put my finger on, which is just beautiful. 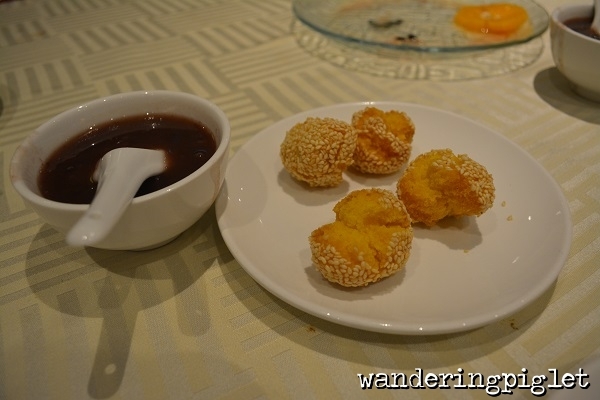 The sweet plum and sesame sauce complements the dish so well. Well worth trying. The only downside is the amount charged for tea and rice. $2.50 for Chinese tea and $2.50 for rice, so you cop an extra $5 per person additional charge. I am probably more accustomed for middle of the range local restaurants charging about $1.5-2 for tea and $2 for rice, so I do think they charge a bit more than the norm for this considering the restaurant bracket they are in, with paper table cloths. I love this place. 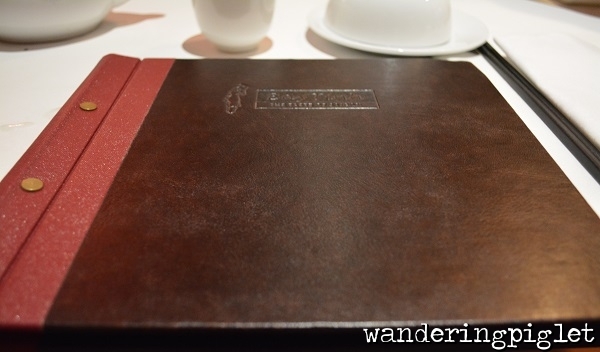 The food is always consistent, of very high quality, beautifully cooked and good value. I can’t say I am ever disappointed after leaving this establishment and I have been many, many… did I say many times. The seafood is always of the highest quality – fresh and juicy and succulent. The chefs definitely know what they are doing. 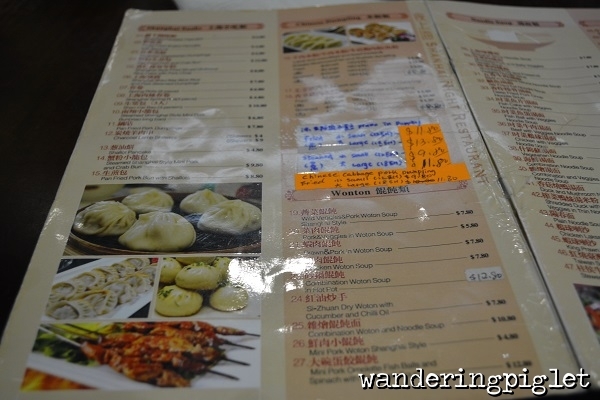 I also love that you get ‘lai tong’ which is house soup, free-of-charge at the start of the meal. This is always lovely clear soup with a variety of stock bones, vegetables and herbs. Then after your meal you also get on-the-house a range of Chinese delicate, crumbly biscuits, fruit (watermelon and orange), and a dessert – this time is was red bean soup, but I have had tong yuan (sweet dumpling with sesame paste inside) in a sweet ginger soup, sweet potato soup, green been soup, just to name a few. Lovely, light, sweet end to a meal. One of my other all time favourite dishes is the cod fillet in garlic and butter sauce (30.80). The flesh of the cod is always smooth, delicate and melt-in-your-mouth. The sauce is silky and buttery, topped with red cod roe which provides salty little bursts in your mouth as you tuck into this dish. This place is very homely and cute. 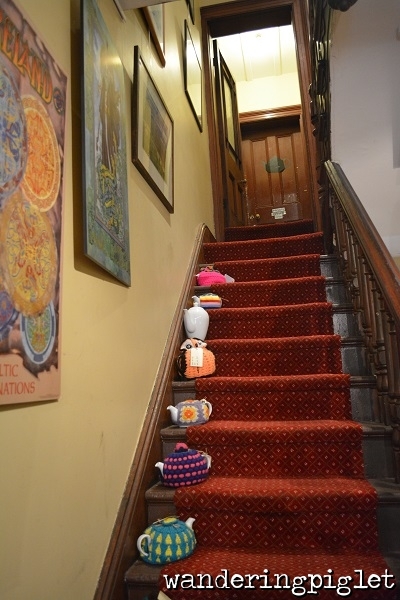 As you walk into the shop, you walk past the staircase of tea pots snuggled with multi-coloured tea cosies, then through the door facing a stone wall, into another room with a fireplace, little counter and kitchen behind it. 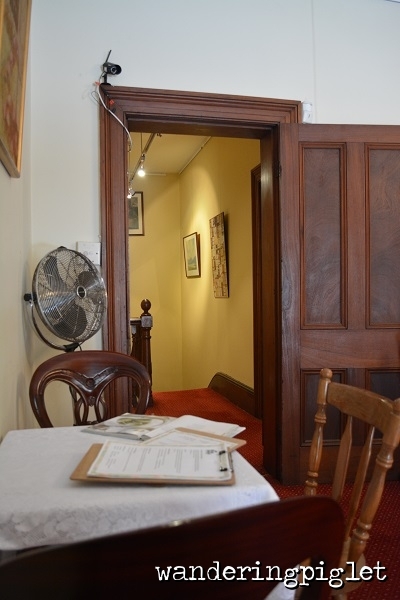 All guests order and pay at the counter, then you can either sit inside the small room, in the courtyard area or upstairs. 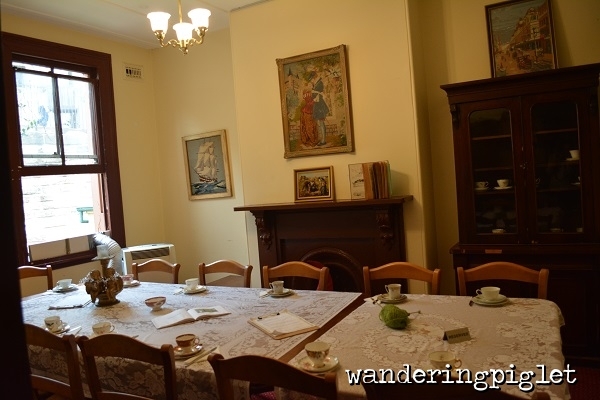 The first time we visited, we ordered high tea for 2 persons. 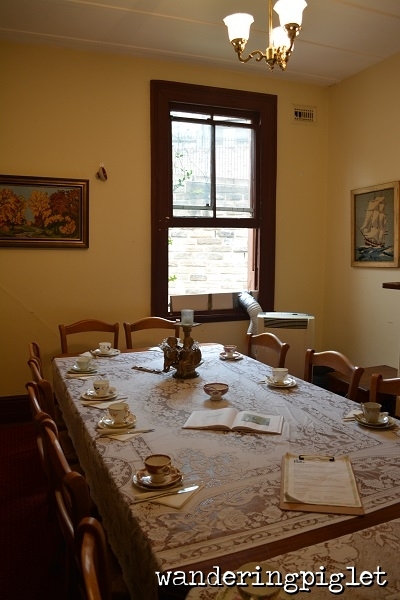 The menu description is – ‘Delicious homemade scones served with gourmet jams, natural double thick cream and an assortment of delicate ribbon sandwiches, sweets and cakes presented on fine china and a gorgeous three-tiered stand. Served with two drinks of your choice $35 per person. The scones are well done and come in a variety of flavours – plain, sultana, gluten free, almond and cherry and savoury. We ordered plain and sultana. Then we picked fig and ginger, and paw paw, lime & passionfruit jams. Yum. We loved the paw paw, lime & passionfruit jam so much, we bought a jar to take home for $9. The cream is lovely whipped, thick and creamy. All were executed well and the bread was fresh, soft and delicious. The final layer was the cakes/desserts. 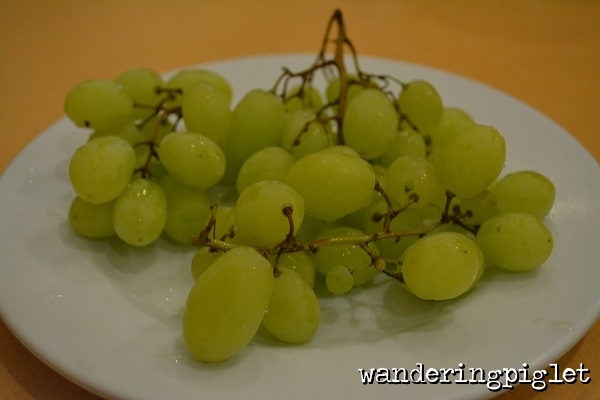 Now these were pretty spectacular treats for the taste buds. First of all the pastry shells of all the four little desserts was thin, buttery and crispy. One was a chocolate fondant morsel, the other like that of a berry and almond friand baked perfectly in the shell, and the final two were lemon meringue tartlets. All were detectible. The particularly impressive aspect of the lemon meringue tartlets were that not only was the lemon curd perfect, but the meringue was pipped into quite fine and thin peaks which had great caramalised colour on them, yet they still remained such soft marshmallow peaks, none of the peaks were hard. Last to mention is the tea. Great quality. We ordered chamomile and green tea with strawberries. Then when the tea came, we noticed they had corresponding tea cosies to their tea leaf contents. Too gorgeous! Also note there is hot water up on the second level, so you can always refill your pot as many times as you like, though you might have to undress your tea pot first! This was a great recommendation made to me by a fellow foodie colleague. 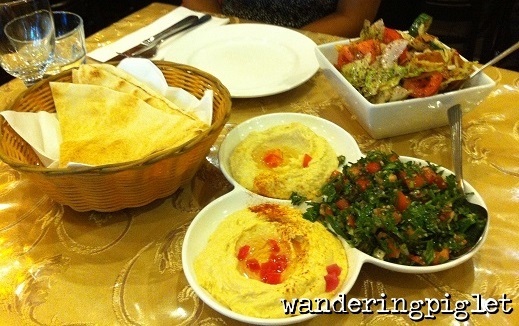 The three dips in the first course are – hummus (chickpeas), babaghannoush (eggplant) and tabbouli (tomatoes, cucumbers, finely chopped parsley, mint, onion, and garlic ), accompanied by pita bread. Although I am not a huge fan of parsley, all three are very enjoyable. On to the fattouch salad, yum. Though in hindsight we definitely didn’t need this accompaniment, because we already had more food that we could handle. This was great. Fresh, the lemon, oil and sumac come through, and the toasted pita bread bits are nice and crunchy. In the second course of the mix platter the cauliflower was well cooked and still had bite to it, falafel were great with sauce drizzled over them, so they weren’t too dry. I quite like wrapping them in the pita bread with some lettuces leaves. I particularly liked the lady fingers though, probably the highlight of this course for me. Lastly the third course consisted of garlic chicken, kafta, shawarma and salad. 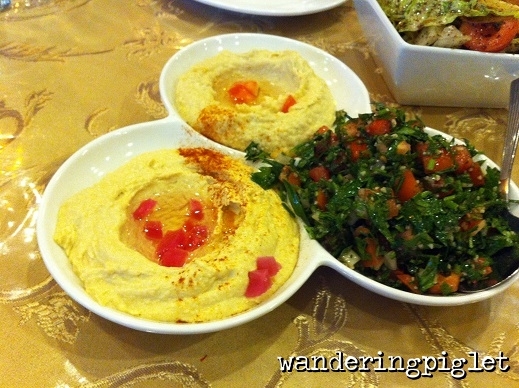 The favourite part of this course for me was the kafta – yum. Overall a great hunger buster meal for those that can really eat, at a very reasonable price. Needless to say we didn’t finish all the food. 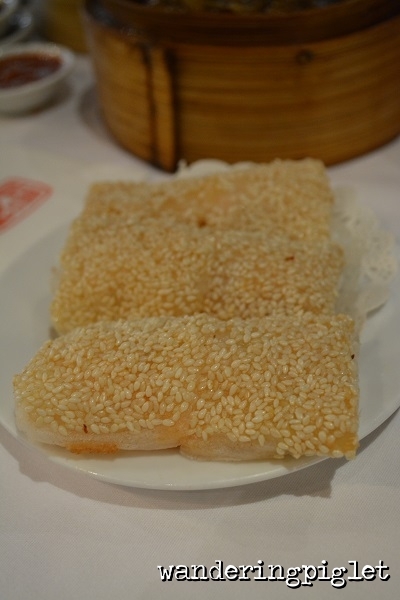 Highly recommend the Phoenix group, particularly for yum cha. 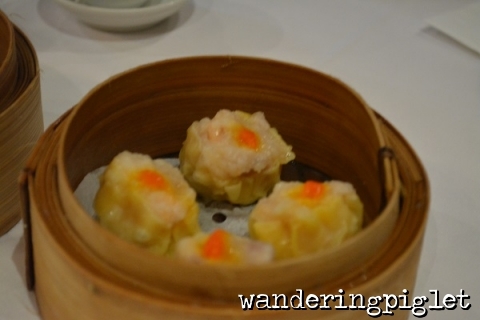 I wrote a previous post – Rhodes: Phoenix Rhodes (Yum Cha). This post is just to confirm, that everything is still the same, great food. Go early is always my recommendation with this place! By 11am on Saturdays and 10am on Sundays. 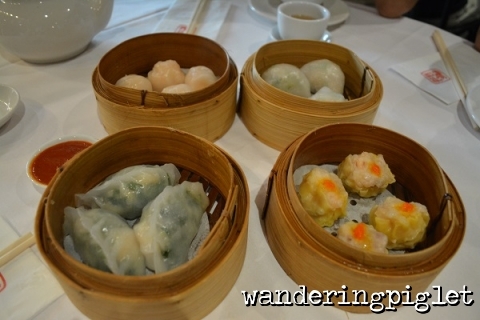 My two favourite yum cha restaurants are Phoenix Rhodes and Fisherman’s Wharf Chinese Restaurant. (I use to go to Zilvers in the Sydney CBD a few years ago, but got sick of truly terrible service, so I have not been back for quite some time). 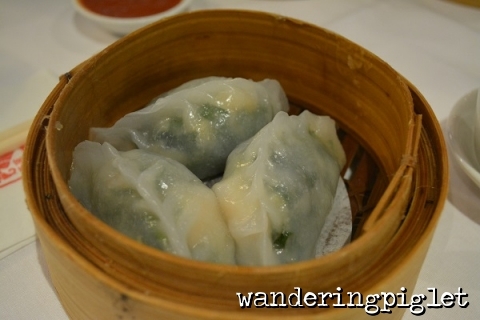 Another yum cha restaurant in the area is Tingha in the Flemington Markets precinct, an unsuspecting place to find yum cha. 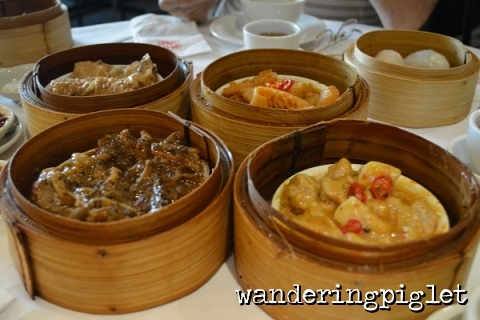 It is not ‘wow’, but it is decent if you are in the area/shopping for fresh fruit and vege and want to satisfy a yum cha craving. Pay with cash and you get 10% off your bill. I went next door to Shanghai Night, because New Shanghai was packed. 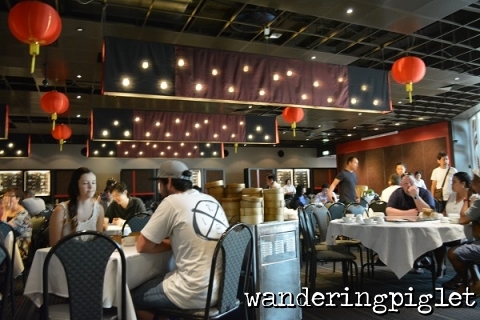 The two distinct difference between the two restaurants is that New Shanghai (next door) use to have a similar semi-run-down decor, but got renovated about a year ago to more modern, ritzy decor by comparison. So patrons seem to be attracted to the shiny-new re-fit. The other difference is consistency. Shanghai Night I feel at times taste better than New Shanghai and at times a shade under New Shanghai. Still good every time I go. I just think New Shanghai is a little more consistent with their golden-brown bottoms on the juicy pork buns, which are my number one favourite pick at these dumpling establishments. Just writing about it makes my mouth water. 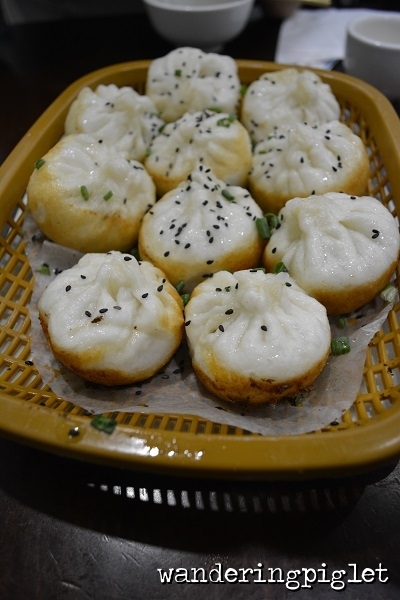 So this time around, the pork buns were lovely and juicy with the soup oozing out and crispy and golden-brown on the base. 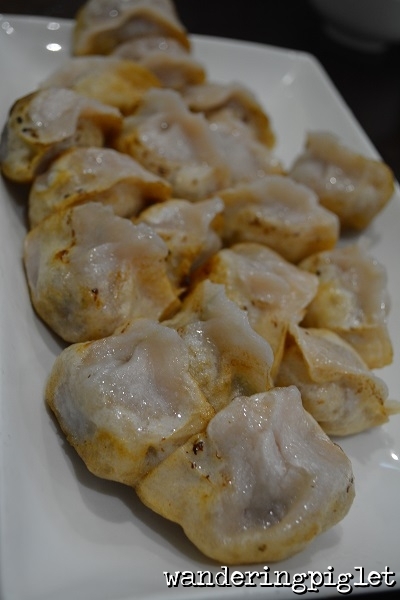 The pan fried dumplings were also juicy and crispy on the bottom. 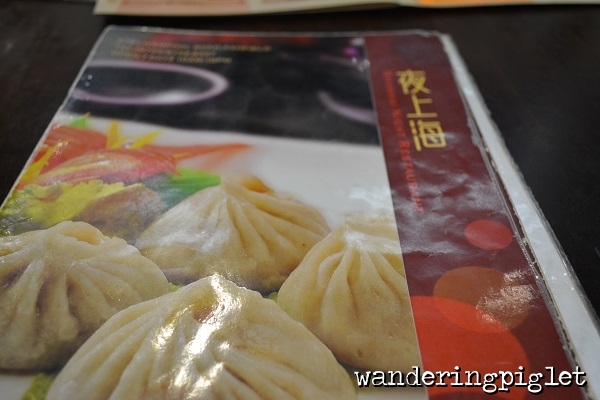 Wei Kee Chinese Restaurant is a quaint, suburbia, tucked-away, hole-in-the-wall, home-style Chinese restaurant. One downside is that is it an extremely small space. You will rarely, and I would say almost never, get in without a booking. Maximum capacity of the restaurant is around 25-30 persons. One table of 8-10 in the corner. Two tables of 6 and two tables of 3-4. But I think they struggle to accommodate their restaurant when full, especially when they get large take-away orders simultaneously . The crispy skin chicken had lovely crispy skin. Well cooked dish with a good sweet, sour, salty sauce. 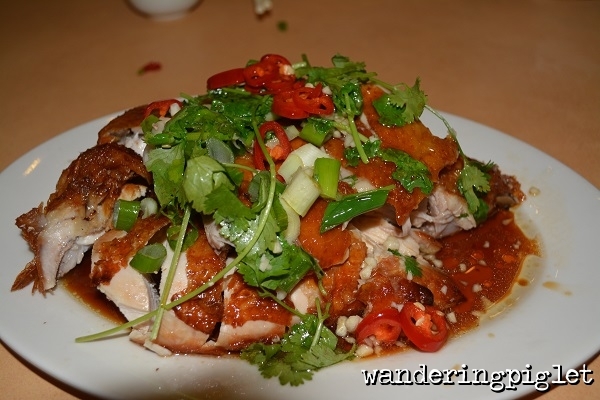 The chicken has been cooked twice… once steamed/poached, then deep-fried as opposed to just cooked once, so the breast is not as tender and juicy as it could be, but still a competent dish. 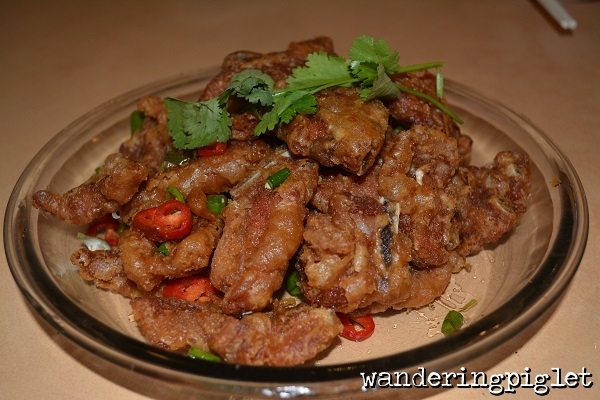 Salt and pepper pork ribs – well cooked. The batter was crispy and crunchy, (probably not the lightest or best batter I have had on pork ribs) but still very enjoyable and the meat was well seasoned and tasty. 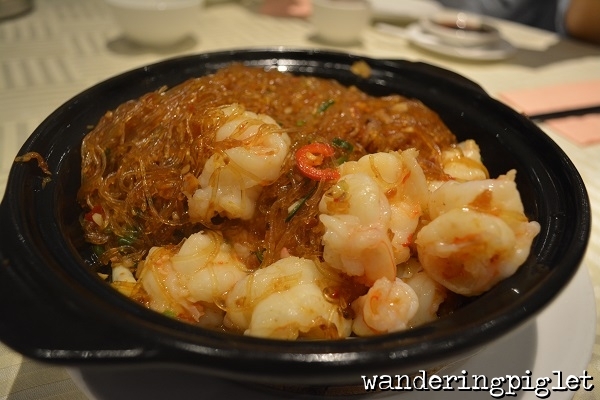 The vermicelli and prawn dish – again very tasty and well cooked. The prawns were decent, but not as fresh and plump and firm as they could be. Something to note is that the prices are not expensive, not extremely cheap, but they are very large serves. The food is competent and very satisfying. I would say it is like a good home kitchen and good home cook turned retail business.